Illuminated signs include channel letters, wall cabinets, pylon signs and monument signs. Illumination for these signs is provided by fluorescent lamps, neon tubing or LED's. Channel letters give class and distinction to your business and are one of the most effective ways to identify your location. Many strip mall owners require all tenants to use channel letters for their identity sign. Channel letters can be illuminated by either neon tubing or LED’s. Or, you may have a location that needs a wall mounted cabinet sign to give your business the personality and curbside appeal it needs to put it over the top. Cabinet signs are most often illuminated with fluorescent lamps, meaning less costly to operate and easy to maintain. Or, maybe you have a location that allows for either a pylon or monument sign. Pylon signs can provide the extra visibility that you need to be seen in the clutter of today's busy streets. Monument signs are ground mounted and can attract drive-by customers both day and night. There are so many things that can be done with illuminated signs and they are a great way to give personality and a unique style to your business. 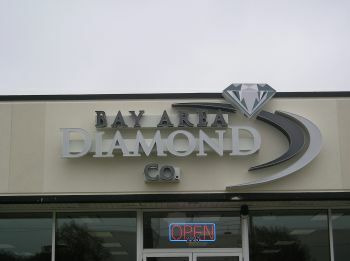 Check out the Product Gallery for some samples of Illuminated Signs!